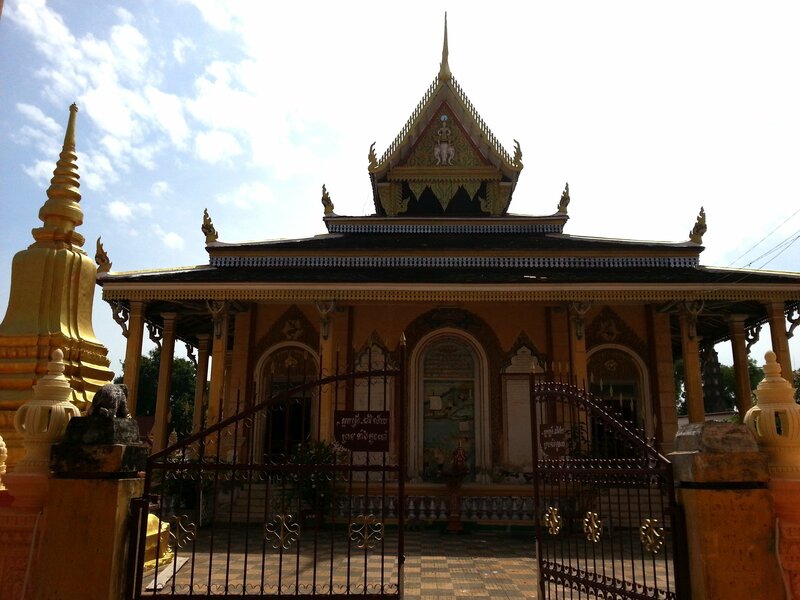 Wat Kandal, also known as Wat Gahndahl, is a Buddhist Temple in Battambang, Cambodia. Admission to Wat Kandal is free and the temple has no specific opening hours although it makes sense to visit during daylight hours. 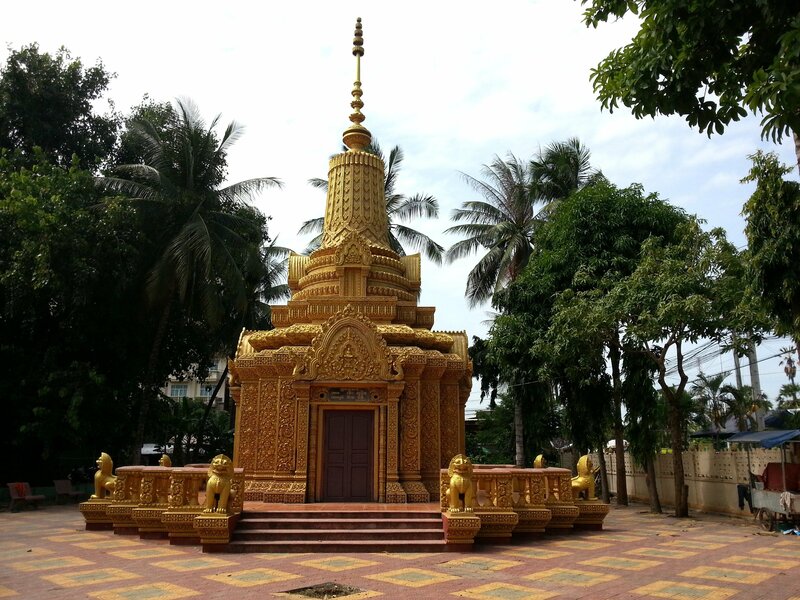 Wat Kandal is near to Sanker Pagoda and Battambang Governor’s Residence and its easy to visit all three in a single morning or afternoon. Wat Kandal is a large working temple with monks living on site. The temple is not that old, established during the late 19th Century, but it does have some interesting features that a visit worth while. 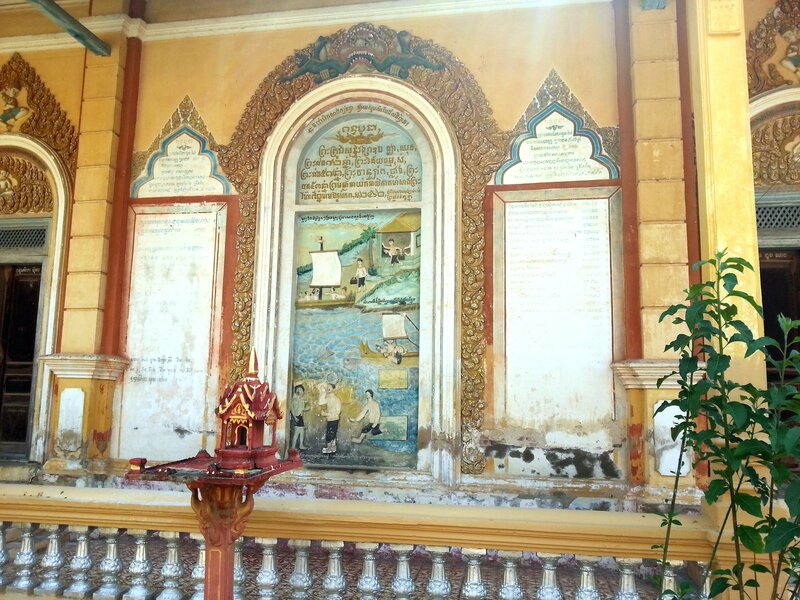 The walls of the Congregation Hall at Wat Kandal feature murals of a local story of a man from Battambang who killed his mother and got sent to hell in a boat. 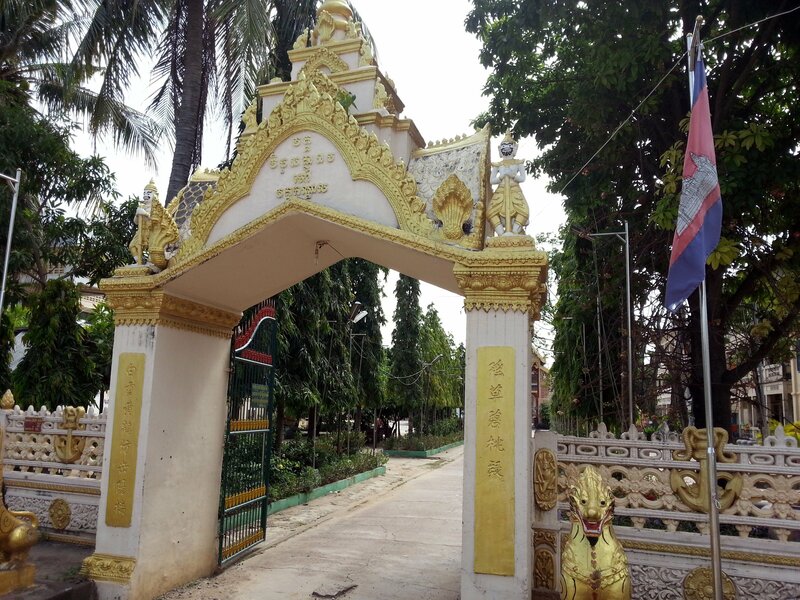 Like the tale of Ta Dumbong (the cow herder with the magic stick), this is a local legend specific to the town of Battambang rather than a Buddhist religious story. Wat Kandal has many stupas. Some of the stupa have been built in the style of ancient Khmer structures like those you might find at Angkor Wat, others have been built in a more modern style. 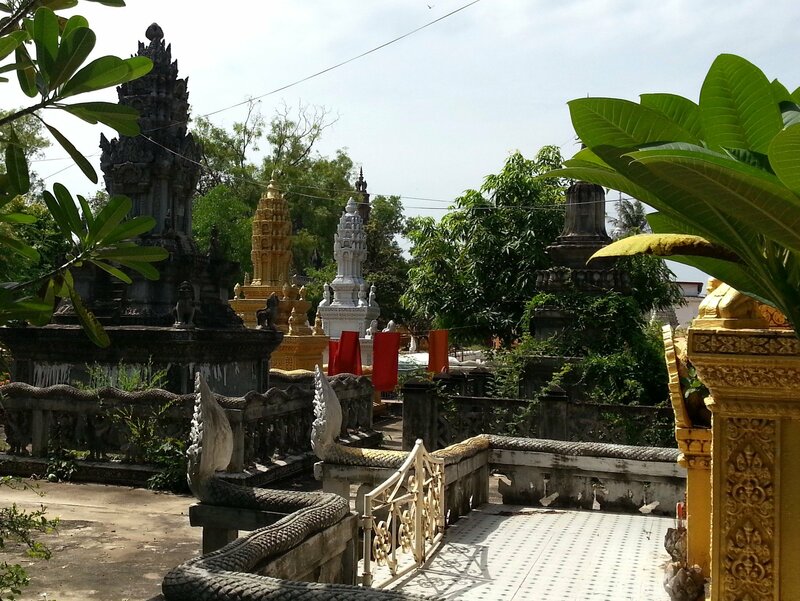 Wat Kandal has a lot of replica Khmer structures built in concrete built in the temple grounds. The significance of these structures is uncertain. This appears to be a work in progress as some of the structures are unfinished. The master plan appears to be to construct a smaller version of Angkor Wat or Angkor Thom within the temple grounds. 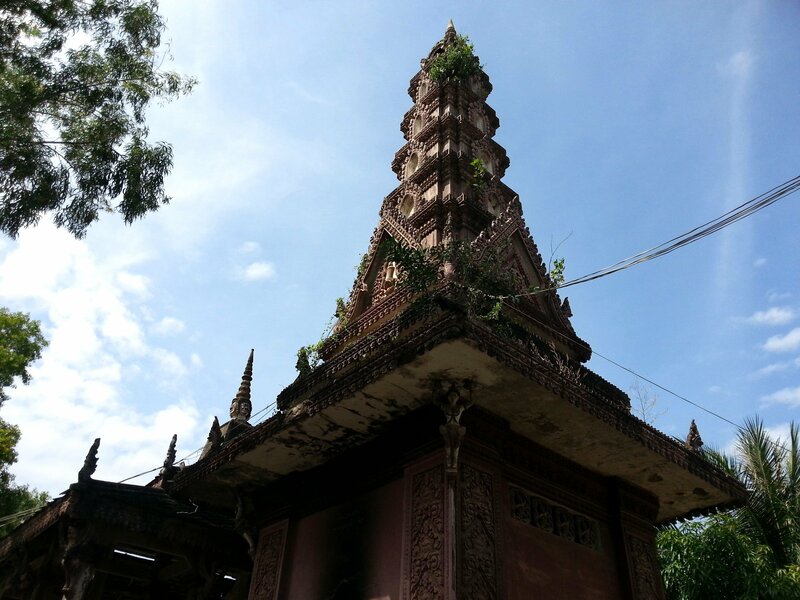 Wat Kandal has some much older buildings which appear to date back to the late 19th Century. 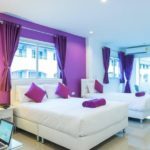 The original monk’s accommodation is interesting as the style of the architecture is unmistakably Thai. 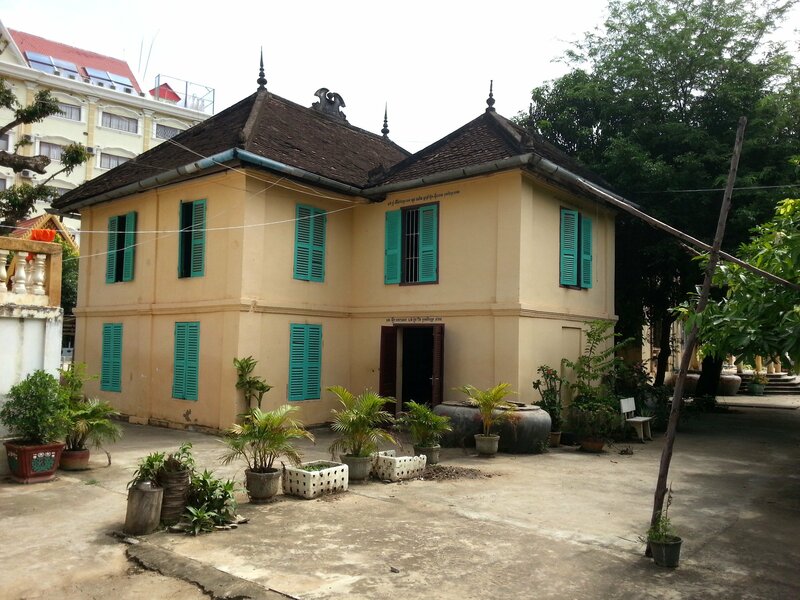 Much of north-west Cambodia (including Battambang) had been under the control of Siam (Thailand) from 1795 until 1907 and a number of building around Battambang from that period were constructed in Thai style. Another interesting feature at Wat Kandal is the large number of grave stones. The graves vary a great deal in size and design, and some of them are large and very elaborate Khmer Style stupa. Wat Kandal is a treasure trove of interesting structures and artefacts some dating back perhaps as far as 150 years, with successive generations of the Buddhist clergy and its patrons adding bits to the temple. This are no helpful explanatory signs telling you what things are or where to find things, you just need to explore the temple a bit and discover things of interest for yourself. The meaning and significance of much of what is there is probably only known by some of the older monks, none of whom were on hand when we visited. 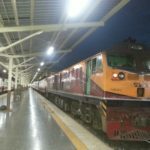 Wat Kandal is located 700 metres walking distance from Battambang Railway Station.